"Singapore proves to the world that being a great country doesn't have to be big in size. It is about the attitude to details. This is the key to success, no matter to a country or a company." 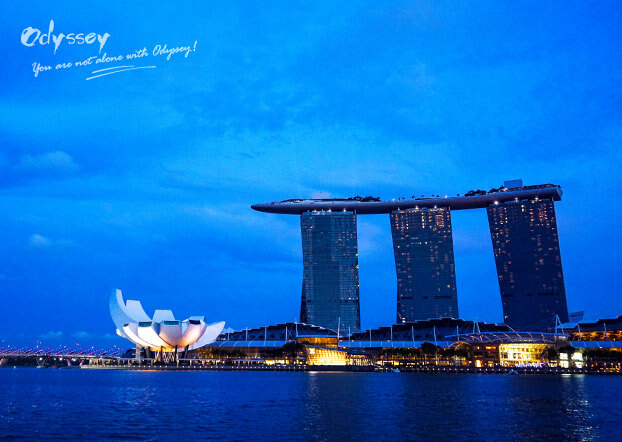 Before going to Singapore, I had been wondering why such a small country could make itself one of the greatest countries in the world and why did so many people choose Singapore as the transit point when traveling in Asia. After my 3 days in this "Garden City", I finally found the secret of its success. As our flight was late, we had to keep the driver waiting from 4:00 am to 6:00 am. But he was still in a very energetic and passionate situation upon our arrival with no complaint at all. He told us that he usually arrived 15 minutes in advance because some of the clients would land earlier. But if the plane was late, the more exhausting the journey would be, and the quicker his clients want to have a good rest at the hotel. In this circumstance, he needed to give comforts, understanding and offer better service as well. In Singapore, I joined 3 bus tours. The visitors came from different countries, stayed at different hotels and had different itineraries. 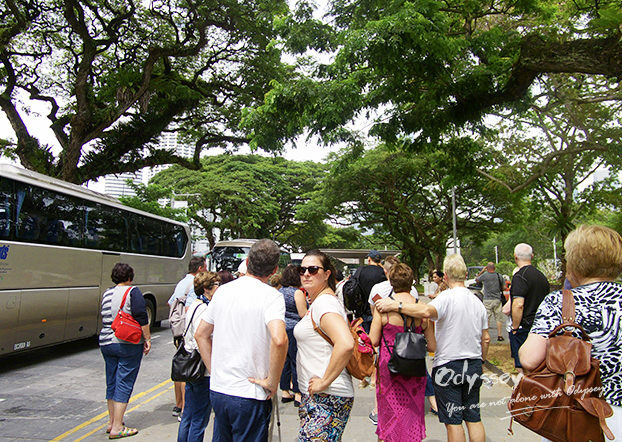 Every morning, the drivers punctually picked up the visitors from different hotel lobbies to the tourism distributing center and then sent the visitors to the buses according to their itineraries. The time at each scenery spot is arranged perfectly, neither hectic nor aimless. Every time you need a hand, the staff will show up promptly to solve your problems. All of these flawless arrangements are actually the results of countless experiments and failures. 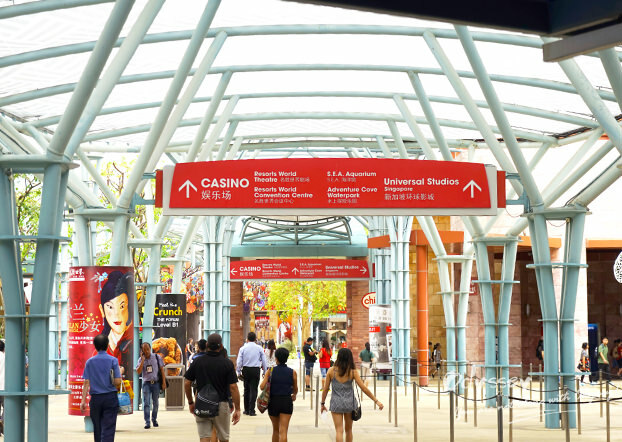 Sentosa is a famous attraction that I visited. Numerous visitors come here every day but it still keeps well-organized. 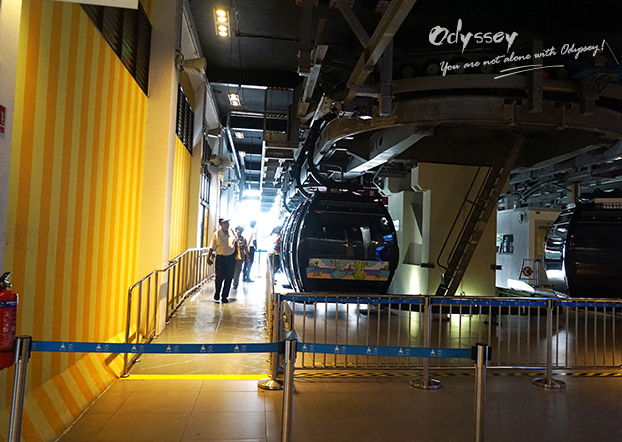 The cableway is in good order and the aquarium has clear direction signs. Even at the light railway station, where the train runs every 30 seconds, there will be staff members arranging the passengers to get on and off. In Singapore, you can see strangers smiling at you everywhere. People who work at tourism attractions smile from the bottom of their hearts even when doing a monotonous job like collecting 4D glasses. The restaurant attendants smile at you for ordering a breakfast only worth 5 Singapore Dollars. They believe in that working for visitors from all over the world is more than a job, it's an image through which the concept that service is utmost in Singapore can be spread to the rest of the world. 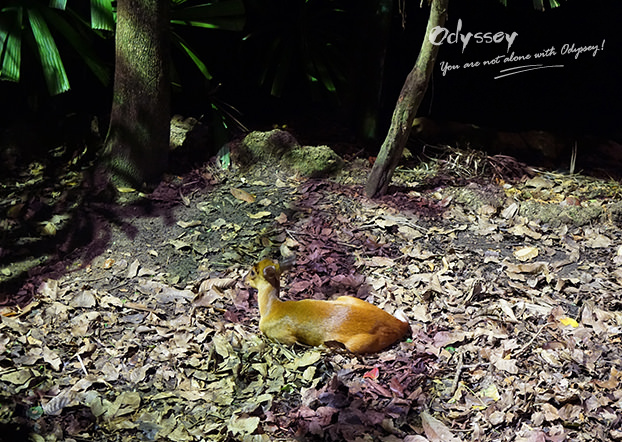 On a night safari, I chose to explore by myself but lost my way on a tri-crotched crossroad. So I took out my map and intended to read it. At this time, a zoo staff member approached me and asked whether I needed help. To my surprise, as I opened the map, he turned on the torchlight for me. Although it was an unintentional behavior, I was still deeply impressed. Tourism is the second largest pillar industry of Singapore, but tipping is not a practice here. That is to say, you can't get paid extra money no matter how good your service is. Even so, the people I met in Singapore, no matter they are drivers, tour guides, bellboys or restaurant attendants, were all so glad to provide the best service to their customers. How can't you fall in love with a country when it pays attention to every detail? How can't you convince your customers when you have made the best of your service? This is what Singapore taught me. My 3-day journey in Singapore only offers me a glimpse of this dynamic country. It still has a lot to be discovered. Maybe you should be the next one to go there! 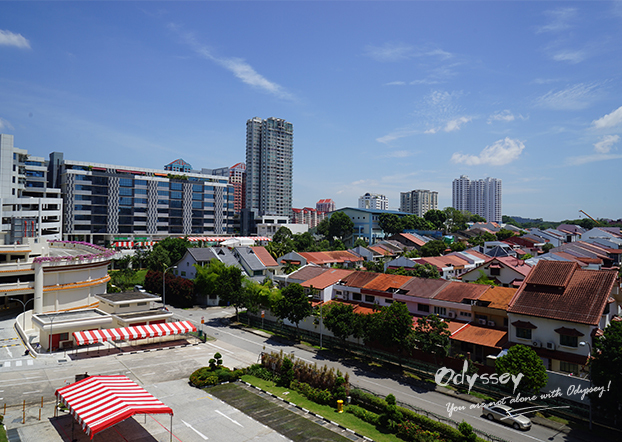 Odyssey Tours is an expert in tailor-making itineraries in Southeast Asia, including Singapore and its neighboring countries. So if you want to witness this incredible country in person, just let us customize you a lifetime journey. I affirm that you will fall in love with her as I do!